In today’s open-office environment, finding privacy can be a challenge. While the benefits of an open office setup - increased communication, accountability, etc. - often outweigh the drawbacks, exchanging privacy for productivity can be hard for people who value their personal space. One way to find common ground is by implementing the once-abandoned but now growing workplace trend of office privacy, which helps bridge the gap between productivity-based open offices and individual-based privacy. With the tools and techniques listed, you can hold onto the perks of an open office without having to lose the appeal of personal privacy. An easy option to help support your employee’s personal space is to configure office furniture in ways that will discourage disruption and encourage personal productivity and privacy. This can mean having chairs up against the wall, so your employees can feel safe by having their backs protected, or it can mean implementing movable screens or thin walls in ways that give the vibe of privacy. Whatever route you decide on, flexibility is always key. You don’t want to cement yourself to one approach when it might need to change at a later date. There are plenty of options for furniture or movable walls that can provide the feel of privacy without limiting your ability to adjust how that privacy looks if the need arises later on. Another option is to outfit your office with walls of glass outfitted with dynamic privacy film that allows for light and visibility, but inhibits complete visibility in a way that supports a sense of security. For example, LINTEC of America’s VisionControlFilm is designed so when the viewing angle changes, the transparency of the glass changes along with it, shifting from appearing completely clear to frosted, or even vice versa. Privacy films are perfect for conference rooms as well, allowing for increased privacy when meeting with your team. These privacy window films are a simple, unobtrusive way to enforce a level of control over visibility, giving you the power to optimize the use of a space in ways that encourages both privacy and openness. As helpful as open office spaces can be for productivity, there will always be times when people will want to escape for some brief solitude. You don’t want to encourage complete or prolonged solitude - that defeats the entire purpose of an open office - but by designing a break room, or any room, that’s specifically set up as a quiet place, you can give your staff a safe place to withdraw for a moment and recuperate. This approach will encourage your team’s ability to switch gears from project-to-project, shut down for a moment with a cup of coffee, or even meet one-on-one with a coworker to brainstorm a new goal. 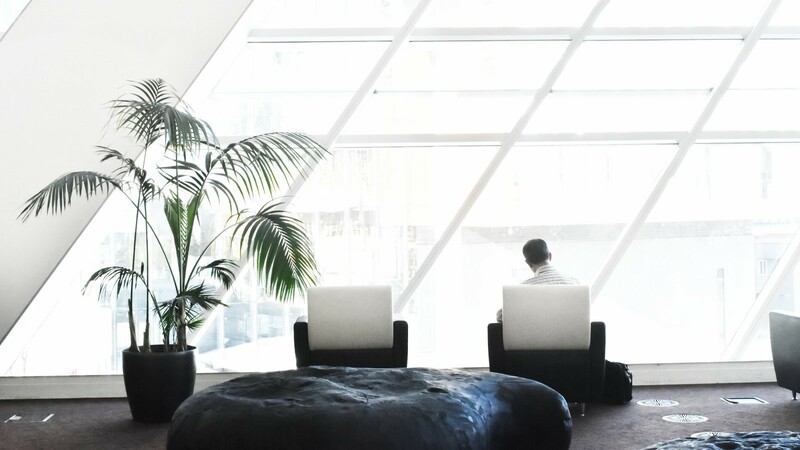 Having a designated quiet space in your office can be a great outlet for your staff to step away from the hustle and recollect themselves, affording them an opportunity to better their motivation, energy levels, and focus. If your current office space isn’t set-up in a way that allows for much privacy, you can always add-on to it to change that. Whether you get movable room dividers into your space to easily segment your workspace, or just invest in a desktop privacy panel, there a number of ways you can add natural, flexible avenues of privacy into the office space.